B and R started care with me in the first trimester of their second pregnancy. B had an unmedicated birth in a hospital in another state using Bradley method techniques with her first pregnancy, and was looking forward to a home birth using hypnobabies with this journey. Five days after her estimated due date, B came in for her regular weekly appointment. She had been experiencing prodromal labor for weeks, and was ready to get this little guy out. I gave B some herbs, and did an exam and membrane sweep. B was 3cm dilated, 100% effaced, and baby at a -1 station. Her cervix was very stretchy, and easily opened to 4-5cm with the sweep. Knowing that B’s first labor was relatively short for the first baby, I had prepped B with what signs to notify me of as I did not want her to wait too long to call me. B said contractions continued all day. She already had a meeting scheduled with her doula for 3pm that afternoon, which I figured would be a good gauge of what was happening. B’s doula J called me a little after 4pm to let me know she was watching things, but thought it would be soon. B was laying down with R listening to a hypnobabies tract, seeing what her journey would take. I started prepping everything so I could be ready to go. Unfortunately, time of day in the month of December meant traffic was to be brutal, so I wanted to be prepared. About 445pm, J said she definitely thought soon, but not yet. I went ahead and told both my apprentices to be en route since their drives were lengthier than mine. I left my house at 507pm when J said it was definitely time. B was moaning with contractions, and things were moving along quickly. Due to time of day, my normally 10-15 minute drive to B took 30 minutes. Contractions rapidly intensified. J kept me updated, and let me know that B was unable to hold back the urge to push at 535pm. I pulled in at 537pm, and ran into the house. I found B fully dressed, sitting on the birth ball, and spontaneously pushing with contractions. I told B she could have the baby wherever, but we needed to get her bottoms off. J and I quickly helped B undress in between contractions, then B decided to move to left side lying on her bed to push. B’s water broke during a contraction at 544pm with meconium. Baby was at a +3 station. J grabbed my doppler for me, and a couple moments later I listened and found baby to be having some tremendous decelerations. I talked to B about pushing powerfully with the next contraction to get the baby out as soon as we could. My birth assistant H arrived with the next push, and I had her prep the oxygen tank and supplies asap in preparation for a resuscitation. The next minute, the baby was crowning. After allowing him to sit and stretch, the baby’s head was born a minute later, followed by the rest of the baby the next minute. 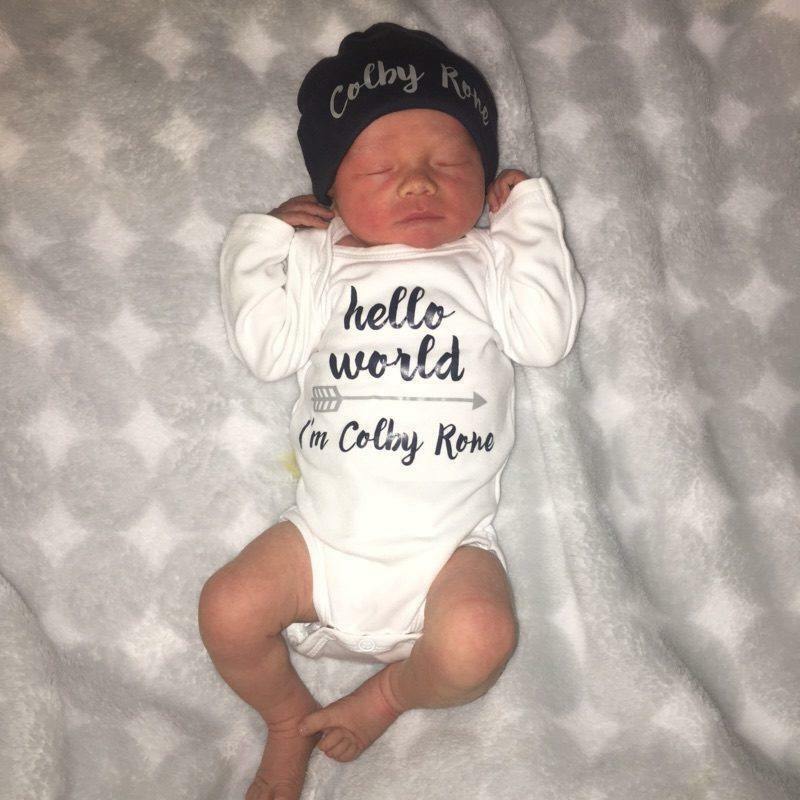 Welcome to the world Colby, born earthside on December 14th, 2017 at 558pm, weighing in at 6lbs 14ozs, 20in long. He nursed like a champ right after the birth, which we always like to see! What a whirlwind journey he took his sweet mama on!